This post will hopefully open your eyes to the fact that simply a fast draw (as depicted in this photo), is not the only thing that will make you a better defensive shooter. Ok, this is the brother post from my previous one (WANT TO BE BETTER COMPETITIVE SHOOTER? TEN THINGS YOU CAN DO RIGHT NOW!). Now I will cover the list for defensive shooters. Some list points are the same, so are not. As I said in the last post, “we have something in common, and that is the both of us (unless you chanced upon my blog by accident) probably want you to be a better shooter.” Now while the last post focused on being a better competitive shooter, this one is deadly serious. Why? Simply because failing in a defensive scenario is NOT an option! As I said before: I challenge you to follow each list item, and if you don’t improve significantly, you get your money back…(ok I know this is free so that won’t be much). A couple notes, this post is geared toward a concealed carry holder, law enforcement and security, and others that might be primarily relying on shooting a handgun better. In addition, I am writing this with some biases, and not all of my list items are directly related to just shooting. I did this because using a handgun for defensive uses might require more than just shooting skills. Understand distance and timing. I STRONGLY believe in a system of combatives that includes empty handed responses, use of edged weapons, as well as firearms. But I find that almost everyone I train with has an uneducated view on actually getting a gun into action in a large majority of fights. What I mean by this is that a “speedy” draw may simply not work in a large majority of situations. 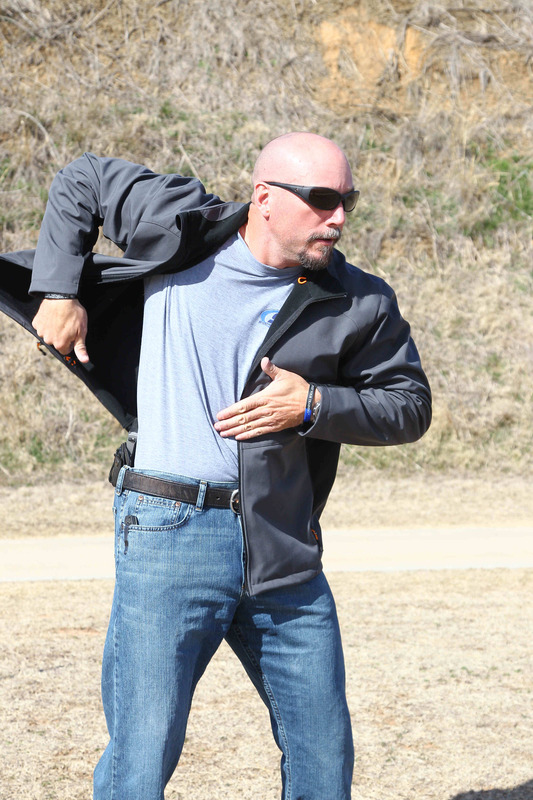 Defensive shooters need more than the draw the gun tool in their toolbox. To learn more about this subject, check out this Personal Defense Network article I wrote (there are also a couple articles in Recoil Magazine that I wrote on similar subjects). Read the PDN article here. 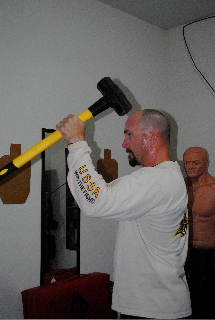 Find a system of combatives that includes and is conducive to close range fighting and weapon access – begin training. Why recommend this on a top ten list about defensive shooting? Because you are pretty likely to be in a situation where defending yourself with your empty hands might be your best option prior to trying to get to your gun. You CAN’T shoot if you CAN’T get your gun out! There are many good places to train these days, but to be honest it is hard to find a place that understands weapon (firearm and knife) integration. I recommend finding a good mixed martial arts (MMA) place and learn the basics as well as to improve your fighting fitness, then specialize from there. Not getting knocked out might be the most important thing you can do during that moment in a spontaneous attack, and that skill might be much more valuable than simply knowing how to draw a handgun. Commit 10 minutes a day to dry fire training. Yep, just 10 minutes (not including gearing up, safety check, etc.). You can do this prior to leaving the house with your real deal carry gear (my recommendation), just BE SURE to follow proper safety protocols. I have a compete dry-fire training program in my book Your Defensive Handgun Training Program and it is there for a reason. I tell my students that even if they were so rich they could buy a private range and shoot live fire each and every day, that they would still learn things during dry fire they would not learn while doing live fire drills. Come on….I KNOW you can find 10 minutes. Consider a .22 conversion kit if $$ stops you from training. You need live fire training! In the recent year I had the opportunity to teach some short blocks of instruction at the U.S. Shooting Academy in Tulsa. One student, a young college student had firearm manipulation skills that were simply amazing. As I watched him I noticed that he did almost every single session with a .22 conversion kit on a Glock frame (which was his carry gun). This allowed him to keep training and spend next to nothing on ammo. I am aware that .22 ammunition is now hard very to find, but I think that will change in the future and when it does, consider stocking up and getting a conversion kit! One more tip when you use your .22 conversion kit, end your session with twenty five to fifty rounds of full power ammunition and focus on recoil control. This will be the last thing you absorb and will be most beneficial if you use a .22 kit extensively. I personally have had good luck with the Advantage Arms kits. pistol was developed by Mike Hughes of Next Level Training in Washington state, and is a great tool to use to develop good grip mechanics and trigger manipulation. The pistols have an integrated laser that emits from the muzzle on both the trigger “prep” area and full trigger pull. You can actually set the guns up so that they emit one color laser when you prep the trigger, and another color when you press through the trigger pull. The practice benefit is that you can safely train multiple fast trigger pulls and teach yourself to accelerate through the pull (like you will probably do under stress) without moving the gun. The gun emits a laser pulse each time you pull the trigger, so if you are moving the gun you will see the laser hit the target and make a dash versus a dot. I actually use them while I am working out in my gym in between sets, as well as to work close quarters positions and integration of gun/strikes. By the way, it really doesn’t matter what type of gun you carry, a SIRT will still benefit you by giving you feedback on how you are pulling the trigger. I have no affiliation with SIRT and do not make money if you buy them. Train with someone. Yep, as simple as it may sound, a motivated training partner at or above your skill level will increase your effectiveness. I have experienced this personally and have read numerous articles on the concept of having someone push us to the next level. Make sure you find someone who is a good fit for you, and commit to pushing each other hard, and holding each other accountable. If your significant other carry’s and is likely to go armed, then they might make the very best training partner you can find! It will make a significant difference in your skill! Learn and apply the skill of visualization. I recommended this one for the Competition shooters as well, but as a Defensive shooter I recommend using the skill in two ways. First, use visualization (the act of running a mental video in your mind of something before you intend to do it) to improve the quality of your training sessions. It can be applied to any training drill by seeing yourself go through the technical components of the drill perfectly before doing it. The second way I want you to use this skill is to visualize real life “what if” scenarios that you might fall prey to and have to shoot (i.e. defend yourself) your handgun. Your goal should be to see the outcome successful, and yourself applying the proper skills under the effects of stress and fear. Coaching a student in Fairbanks, Alaska. I strongly suggest taking a class early in your shooting development to help prevent bad training habits! Participate in scenario based training. 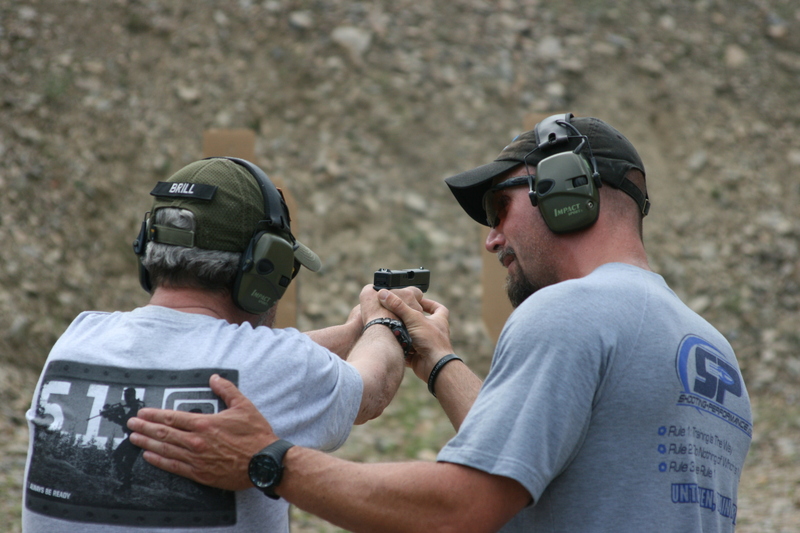 Shooting during a defensive encounter is more than just pulling a gun and shooting. It is a decision making process. Ask anyone you can find if the first time they participated in scenario based training (airsoft or non-lethal training ammunition) they felt overwhelmed by the information they were trying to process. Scenario based training was a key part of the training programs I used to run when I worked as a federal trainer (Federal Air Marshal Service and Federal Law Enforcement Training Center). We used what we called “frag” drills (stood for fragment) to enhance the learning expereince of the agents we trained. A frag drill is a very short drill with some simple stimulus and response information that teaches the operator to make faster decisions in response to stimuli. If you can not find a good place to train near you, consider investing in airsoft and a good training partner (see bullet 6) and make up your own drills. Keep them simple and short and make sure you base them on solid tactics and techniques. important for the competitive shooters…but CRITICAL for you. The fitter you are the better you will be able to perform under stress. I will soon be posting more on some very functional routines in the fitness area of this blog, so stay posted. Also, I have read some of Pat Macnamara’s stuff and suggest you follow some of his fitness stuff in Recoil Magazine. (find Pat M. here too) If you want a completely different approach on fitness and diet, amount other things, I strongly recommend you take a look at a book call Four Hour Body by Tim Ferris. It is life changing for those that have little time and want results. Remember, this list is about becoming a better Defensive shooter. If you read my competition related post, great, but remember if you fail in a match you lose the match. If you fail in real life….you lose your life!! Until Then – Train Hard!